Additional Engraving - only $1 extra! Colorful, stylish, and affordable! All recovery slogan silicone wristbands are laser engraved in our facility to ensure quality and a fast turn-around. 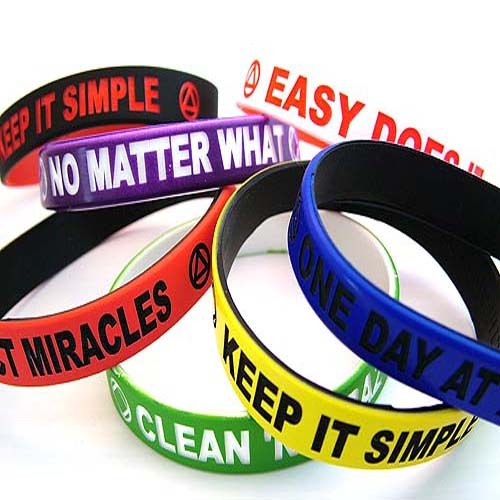 Recovery Wristbands are a great gift idea for anyone in the program! We'll even engrave your name, homegroup name, special message, etc. on the reverse side for just $1.00 extra! Additional Engraving Options: Approx. 20 characters max, please. The colors listed below represent our Standard Recovery Wristband Colors: Other silicone wristband colors are available by special request, minimum order requirements and up to 4 weeks lead time. 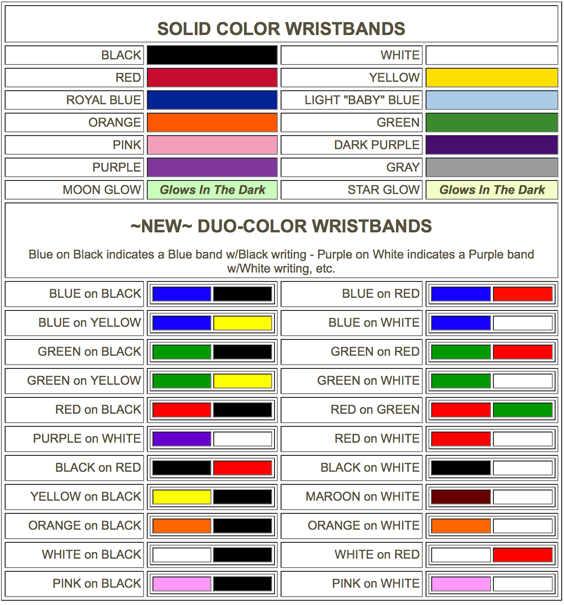 This chart is for reference only and are approximations of the actual wristband colors. Note: Solid color wristbands may arrive with some "laser dust" still visible in the engraving. Over time, and with repeated washings, this dust will begin to dissipate and your wrist band will take on the classic debossed wristband appearance. 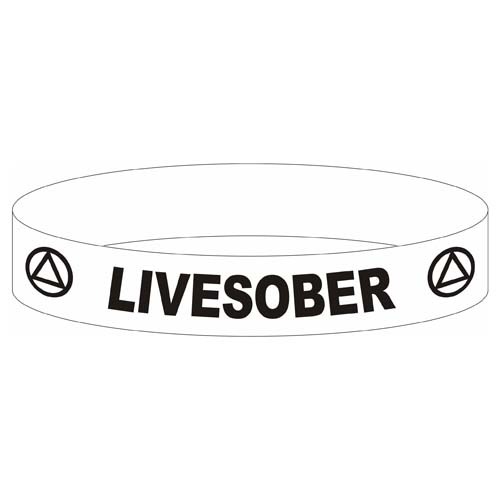 Have an idea for a unique recovery wristband design? Want something special for your group, facility, cause, or special event? Please let us know! We love working on your special projects! Look for our specially priced AA Group Packages and NA Group Packages, too! I love my wristband came fast and looks amazing. A friend bought this for me ... LOVE IT!